La Paz Bolivia Hotels and Hostels. Book Reservations Online in English. La Paz Bolivia hotels abound in all sizes, and price categories from very, very inexpensive to 5-star luxury hotels. 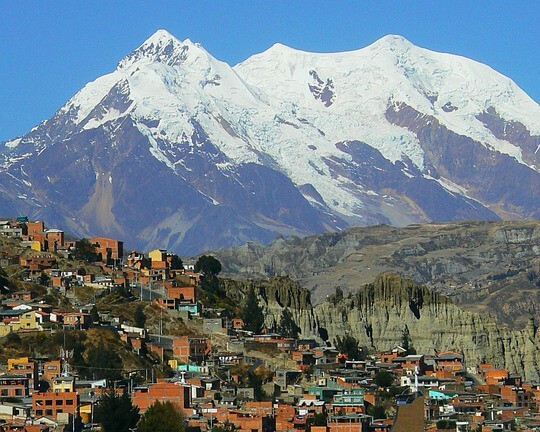 There are dozens of hotels in La Paz Bolivia in addition to inns, hostels, apart hotels, boutique hotels, resorts and eco-resorts, and corporate housing. La Paz also has a fairly active couchsurfing community, and some home exchange options on sites like airbnb.com. If you’ve already found a hotel or hostel you love, or one you don't recommend, tell us in our Bolivia Hotel Review. Bolivian hotels are kind of “all over the place” when it comes to listing themselves on booking sites so that you can make reservations online. You’ll find almost all of the 4 and 5 star hotels in Bolivia on most of the major hotel reservation websites that are well-known worldwide. But smaller Bolivian hotels aren’t as organized about their online presence. They are more likely to be on Tripadvisor, which has become very well-known in the Bolivian hospitality industry by word of mouth. We've partnered with Tripadvisor so you can save up to 30% on your hotel booking online. We also highly recommend Trivago. We did the research. Trivago has the most Bolivian hotel listings in one place. Most travel booking websites have between 200 and 600 Bolivian hotels listed. But you can book over 1530 hotels in Bolivia on Trivago right here. Below is a list of hotels in La Paz. Check for them on Tripadvisor and Trivago. If they aren’t listed, you’ll need to make a reservation directly.